A City contractor will be sealing the final portion of the Dietz Street Parking lot Thursday, August 16th, starting at 7 am. 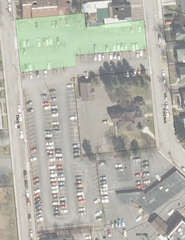 No parking will be permitted in the highlighted section of the parking lot for the duration of work. This section of the lot will be reopened as soon as possible.